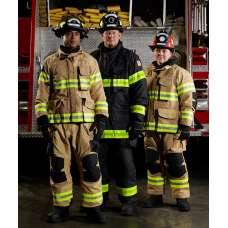 LION makes the turnout gear that emergency service providers, civilian responders, and militaries need to stay safe in the line of duty. They got their start at the end of the 19th century as a dry goods store in Dayton, Ohio. By 1941, they had received a commendation from Army Air Force Commanding General “Hap” Arnold, saluting the company for “outstanding services rendered to your government” after supplying the Army Air Force with electrically heated flying suits during World War II. 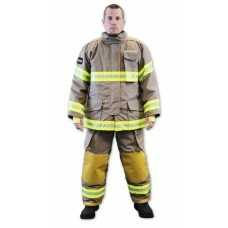 Over the next two decades, they opened regional warehouses and began operating in the firefighter station uniform market. 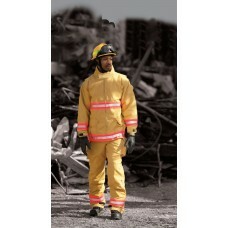 In 1970, LION moved into the firefighter turnout gear business – and they have never looked back. 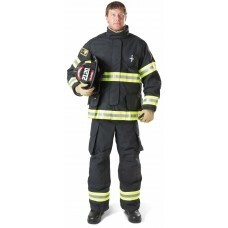 LION actually coined the term “StationWear” and was the first company to develop digital training technology for the firefighting market. 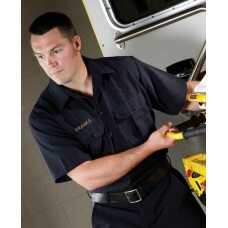 Today, LION continues to deliver innovative, patented technology to the fire service market. 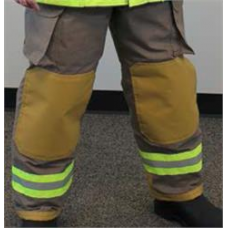 They have a dedicated research and development staff that works with fire departments to generate (and evaluate) new product ideas, as well as develop solutions to improve existing products such as firefighting gloves, fire helmets, and much more. Real end users collaborate with LION on wear trials and focus groups so they can deliver solutions that work for actual first responders like you. 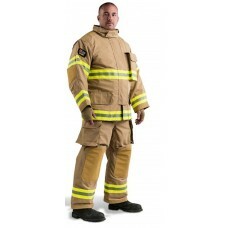 LION provides turnout gear to 7 of the 10 largest fire departments in the U.S., and 25 of the top 50. In 2019, they were awarded the FDNY contract. LION is also the largest supplier of chem-bio protective garments for the U.S. Military and National Guard civil support teams. 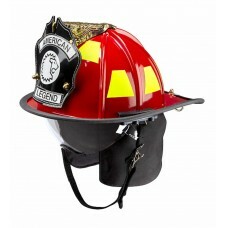 LION AMERICAN LEGEND HELMET (WITH RETRACTABLE EYE GUARD) The light-weight, low-.. 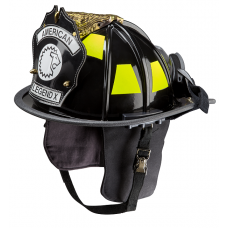 LION AMERICAN LEGEND X HELMET The light-weight, low-profile helmet with a traditional.. 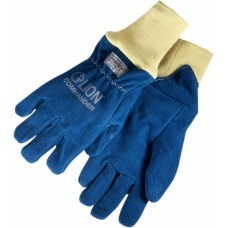 LION COLD WEATHER WORK GLOVE Provides hand protection and warmth during cold temperatures. .. 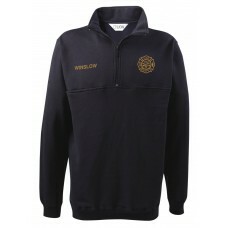 LION JOB SHIRT Navy easy-care-fleece-just machine wash, tumble dry. Handw.. 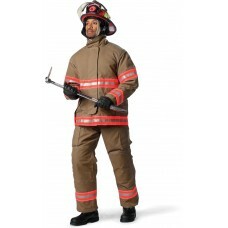 LION MEDPRO™ HIGH-PERFORMANCE EMERGENCY MEDICAL SERVICES (EMS) RESCUE WEAR Designed s.. 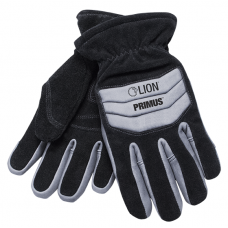 LION PRIMUS™ GLOVE SUPERIOR HEAT RESISTANCE AND A DYNAMIC 3-D DESIGN Tough, re.. 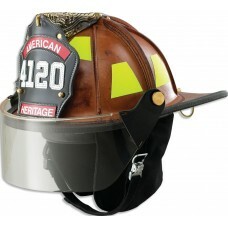 LION AMERICAN HERITAGE HELMET Leather forever – hand-crafted rich traditi.. 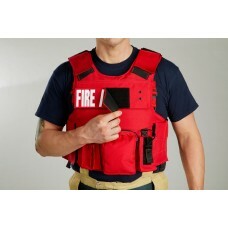 LION BODY ARMOR 3000 SERIES Three Levels of Firefighter & EMS Active Shooter Balli.. 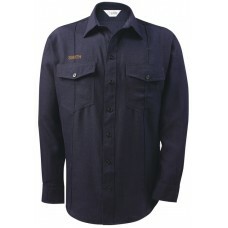 LION BRAVO SHIRT – LONG SLEEVE Functional Button Front 5.25 oz/yd2 100%.. LION BRAVO SHIRT – SHORT SLEEVE Functional Button Front 5.25 oz/yd2 100% Cott.. 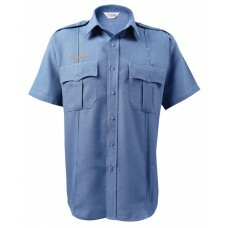 LION BRAVO SHIRT LONG SLEEVE 4.5 oz/yd2 Nomex® IIIA plain weave certified to meet NFPA 19.. 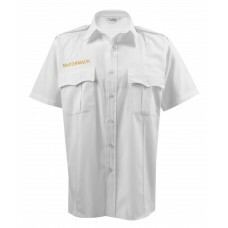 LION BRAVO SHIRT SHORT SLEEVE 4.5 oz/yd2 Nomex® IIIA plain weave certified to meet NFPA 1.. LION BRAVO LONG SLEEVE Functional Button Front 65% Polyester 35% Cotton Sev.. LION BRAVO SHORT SLEEVE Functional Button Front 65% Polyester 35% Cotton Se.. LION BRAVO SHIRT LONG SLEEVE- NAVY Functional Button Front 5.8 oz/yd2 Tecasafe® Plus.. LION BRAVO SHIRT SHORT SLEEVE- NAVY Functional Button Front 5.8 oz/yd2 Tecasafe® Plu.. 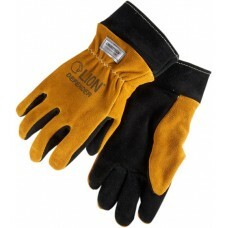 LION COMMANDER ACE™ GLOVE GAUNTLET Extreme dexterity for extreme firefighting! Hig.. 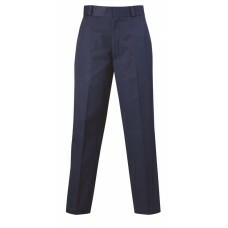 LION DELUXE UNIFORM TROUSERS FEMALE Traditional Uniform Pants with a C.. 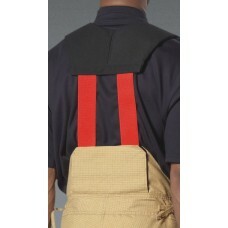 LION DELUXE UNIFORM TROUSERS Traditional Uniform Pants with a Classic Look ..
EZ H-BACK QUICK-ADJUST, NON-STRETCH SUSPENDERS For use with Traditional and Super Tur..
EZ H-BACK QUICK-ADJUST, NON-STRETCH SUSPENDERS For use with Traditional and Super Turnout P..
TACTIX© TR51™ TECHNICAL RESCUE & RECOVERY ENSEMBLE 5.3 oz. 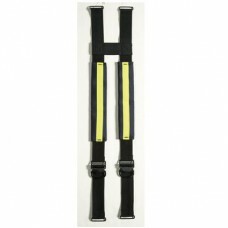 Millenia™ Lig.. LION STATION CARE 1851 TURNOUT CLEANER (2) ONE GALLON CONTAINERS Advanced Gear Cleaner You Ca.. LION STATION CARE 1851 TURNOUT CLEANER FIVE GALLON PAIL Advanced Gear Cleaner You Can Trust ..
V-BACK™ QUICK ADJUST, STRETCH PADDED SUSPENDERS For use with any pants model Fea..
V-BACK™ QUICK ADJUST, STRETCH PADDED SUSPENDERS For V-Force® High-Back Pants only.. 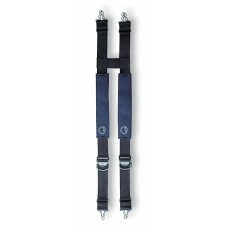 LION VERSAPRO™ COATS AND PANTS Dual-Certified Multi-Purpose garment stands tall for.. 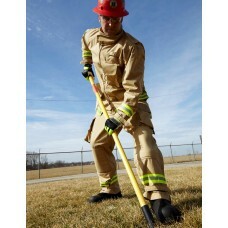 LION MECHFLEX EXTREME EXTRICATION GLOVE Three-dimensional design for optimal dexterity and flexib..
GOLD ARMOR AP™​ COAT Get the turnout you need, when you need it. .. 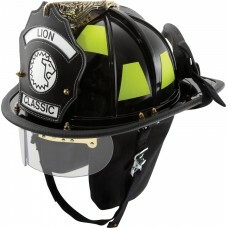 LION AMERICAN CLASSIC HELMET Combines the looks of a traditional-style helmet wit.. 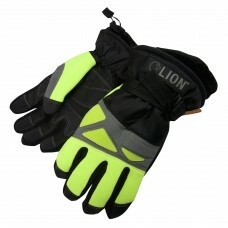 LION DEFENDER GLOVE GAUNTLET A quality firefighting glove, at an affordable price. Black.. 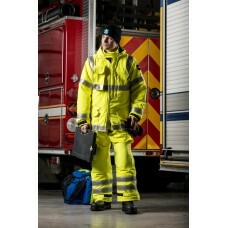 LION VERSAPRO™ PLUS COATS AND PANTS Dual-Certified Multi-Purpose garment stands tall .. 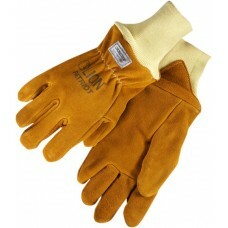 LION DEFENDER GLOVE WRISTLET A quality firefighting glove, at an affordable price. Black.. 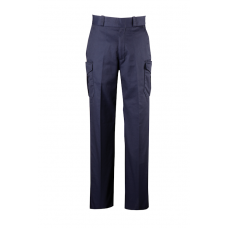 LION DELUXE SIX-POCKET WITH ADJUSTABLE WAIST TROUSERS- FEMALE Delivering uncompromising com.. 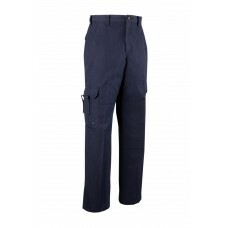 LION DELUXE SIX-POCKET TROUSERS- MALE Delivering uncompromising comfort, safety and du.. 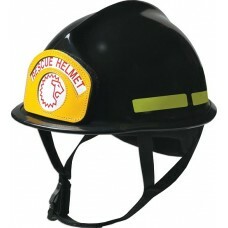 LION LEGACY 5 FIBERGLASS HELMET Low profile, modern-style helmet for superior balance and s..
KHAKI ARMOR AP™​ COAT Get the turnout you need, when you need it. … .. 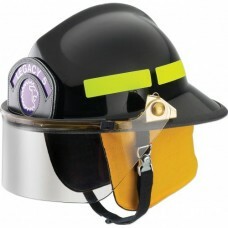 LION LIBERATOR RESCUE HELMET Designed exclusively for rescue operations, the LION Liberator.. 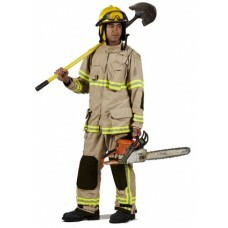 LION PATRIOT GLOVE GAUNTLET A quality firefighting glove, at an affordable price. .. 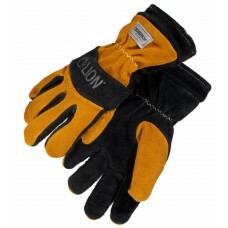 LION PATRIOT GLOVE WRISTLET A quality firefighting glove, at an affordable price. LION.. 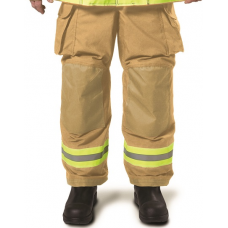 LION TRI-CERTIFIED BDU PANTS Multi-Functional Unisex Nomex® ..
V-FORCE® A Cut Above The Rest LION’s V-Force turnout gear features an innovative.. 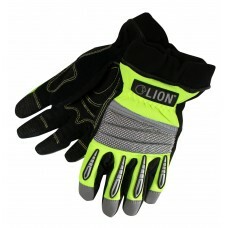 LION COMMANDER GLOVE GAUNTLET Extreme dexterity for extreme firefighting! High-performan.. 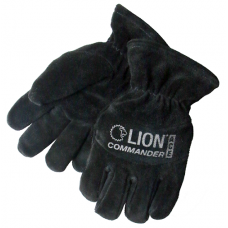 LION COMMANDER GLOVE WRISTLET Extreme dexterity for extreme firefighting! 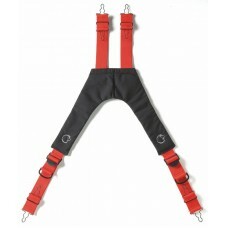 High-performance..
Super-Deluxe™ Freedom® Design for Mobility & Comfort With its fully featured.. 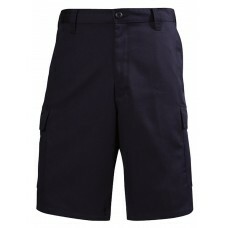 LION SHORTS – EMS POCKETS – FLAT FRONT –.. 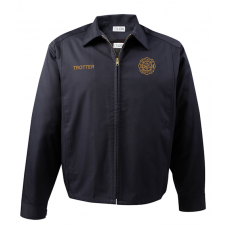 TRADITIONAL Complete Thermal Protection The Traditional Coat offers stress-reducing features, .. 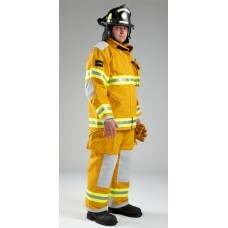 LION LIBERTY™ TURNOUT GEAR LION’s Most Economical Custom Turnout Solution The .. LION SHORTS – EMS POCKETS – FLAT F.. 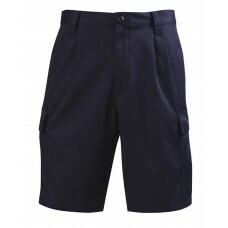 LION SHORTS – PLEATED TRADITIONAL – 100% COTTON NAVY Delive.. 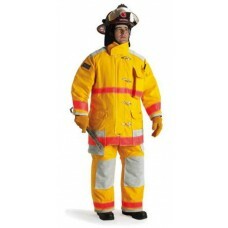 LION RELIANT™ TURNOUT GEAR A Coat That Delivers Performance and Value The LION.. 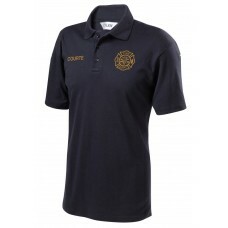 LION STATION POLO A durable, economical shirt that provides lasting comfort. .. LION ACTION LINE JACKET Multi-Season Station Jacket Jacket features bi-s.. 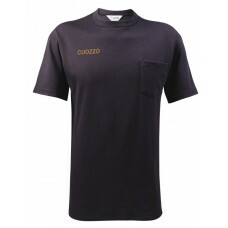 LION STATION CREW NECK T-SHIRT Rib knit crew neck for lasting fit and shape. 6.0 oz/..